The popular and traditional Race Night, sponsored by our travel provider J&B Travel, event is back as the season comes to a close. Profits will be shared with Give A Duck as we aim to purchase 100 Chemo Ducks. 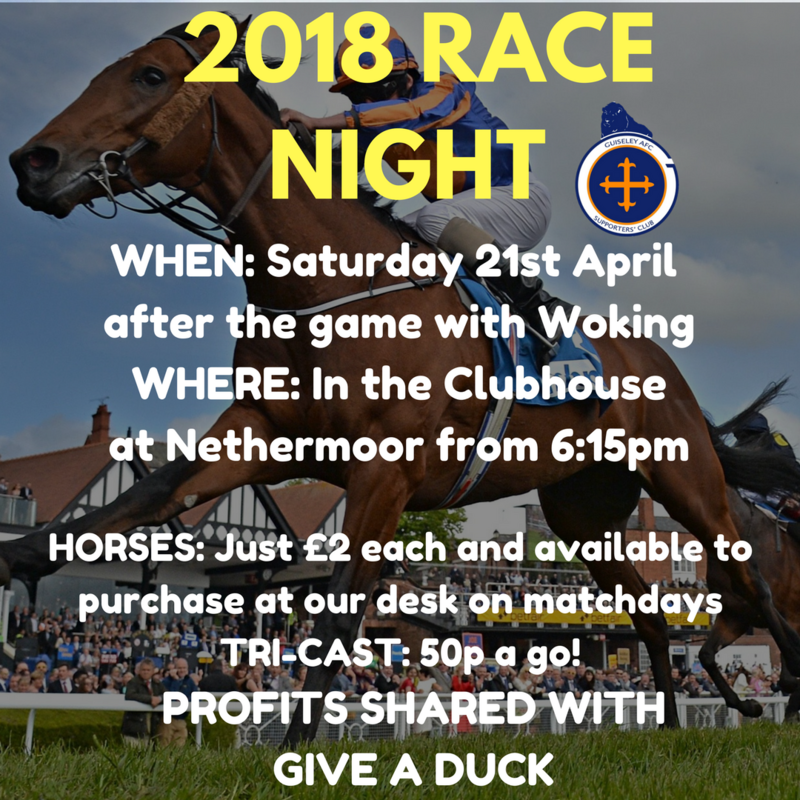 From 6:30pm in the clubhouse after our fixture with Woking on 21st April you have the chance to win some money and raise money for Give A Duck. ​The cost of a horse is just £2 and horses will be on sale at all home games. We'd like to say a big thank you to The First Team Squad, Good Skin Days, Hillcourt Plasterers, Doris Dent, SD Plastering, The Station Pub, Premium Homes and Sarah-Louise Hairdressing who have each sponsored a race. Premium Homes have also agreed to sponsor our Tri-Cast.